1. 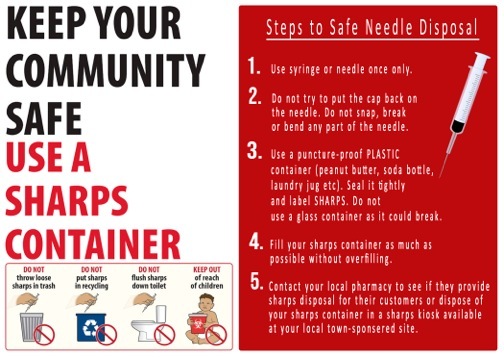 Place used sharps in a strong, plastic container like a laundry detergent or bleach bottle. 3. Place the sealed container in the trash, never the recycling.